Feline constipation is a condition that occurs when a cat can no longer pass stool as it normally would. The stool remains in the colon, often becoming hard or dry, and may cause pain when the cat tries to have a bowel movement. Signs that your cat is constipated include hissing, crying or growling while trying to use the litter box, producing watery stool or little to no stool at all. Veterinary treatment is recommended for constipation, as the condition can lead to severe complications or even death if improperly treated. Treatment may include administration of a veterinarian-prescribed medication to increase motility of the colon and produce stool. Lactulose, a stool softener for cats, used to be available only as a syrup. The syrup holds water in the stool to moisten it and make it easier to pass during a bowel movement. While it is still available in the syrup form, now it is also available as a powder that can be encapsulated by a pharmacist for cats that don't like the taste of the syrup. Lactulose can be administered on a short-term basis as treatment for feline constipation, or it can be administered on a long-term basis as a preventative measure for cats that develop megacolon as a result of being constipated. Dosage of this medication depends on your cat's size and the severity of the condition, and diarrhea or dehydration may occur in the event of an overdose. Laxatone is a thick gel used to treat and prevent hairballs and constipation in cats. The gel comes in flavors such as tuna and catnip. When used for constipation, laxatone lubricates the digestive tract as well as any stool inside the tract, making bowel movements smooth and more easily passed. This medication can be used on a short-term basis to treat constipation or on a long-term basis to prevent it from reoccurring in the future. The medication is administered by allowing your cat to lick it off of your finger or a dish. For cats that are reluctant to take the medicine, you can put the medication directly on a front paw to encourage them to lick it off (keep in mind that this can be very messy). Your veterinarian can advise you on the best dosage of laxatone to treat your cat's constipation problem. Propulsid is a medication originally used in humans, but it was taken off the market for human use because the side effects are considered dangerous. 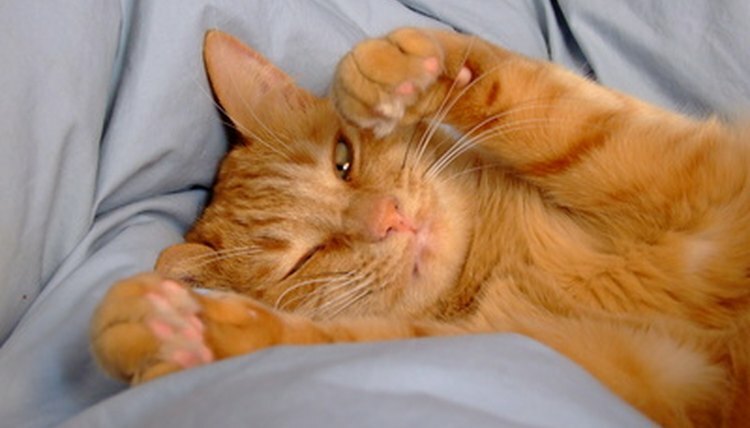 The medication is still considered safe for cats, however, and is used widely in the treatment of feline constipation. Propulsid (also known as cisapride) is only available by prescription and must be made by a compounding pharmacist (a pharmacist who prepares special medications for doctors or veterinarians with special case patients). Propulsid regulates stomach and intestinal contractions, normalizing bowel movements. This medication is also helpful in relieving symptoms of nausea in those who take it.